On this day, 2017, an excited Rose ran downstairs. Today was to be the day that she started her blog. She and her friend had been excitedly discussing creating blogs as a summer project during lunch. Her friend had started hers as soon as school got out. About a week later, it was Rose’s turn. She opened up her laptop and went to the WordPress home page. This was it, the moment she had been waiting for. Her mom by her side, she began to register. But, what was to be the name? For weeks now, she had mentally gone over what seemed like hundreds of blog name choices. But she fittingly found the one in a book. 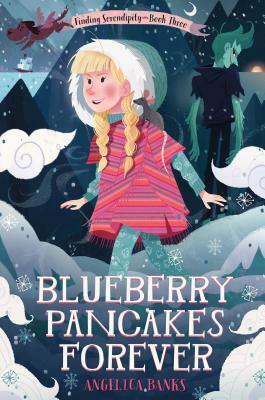 The book was Blueberry Pancakes Forever by Angelica Banks, a recent library read. There it was, sitting on the page, “A purpose of winged dogs.” The name was the collective noun (what you call a group of things) for a group of winged dogs. It was creative and represented what she had wanted to blog about to a “t”. Rose had found her blog name. She finished up registration and opened up her new blog. It was a blank page for whatever she desired. For about an hour, she selected colors and fonts. Her theme was simplistic and her header was a picture of clouds, downloaded from the internet. Then, she penned her first post, a welcome post. Her blog only took off from there. A few days later, she published her first official post about her favorite books. Then, she published her first book review. Slowly but surely, she began to attract an audience. After about a month, she published her first “hit.” It was all about people and musicals. The eighteen views she received were a very big deal. In August, she introduced her pet guinea pig to the world and joined the BIBPC photography competition. In September, she made her header, a similar header to the one you see. She had her dear friend draw it for her. She also published her first Chats With Wings, which would go on to become one of her blog’s signature things. September also saw her first collab, which was with her friend Samantha. October was a big month for her growing blog. She introduced her NaNo novel and started her second blog. November was a slower month but saw one post about NaNoWriMo. December, though, was her most popular month to date. She had a week long celebration (Well, almost) leading up to the release of The Last Jedi featuring guest bloggers like Charis. January was another big month where some big changes were made. Rose decided to revamp the blog for two weeks. During that time, she changed her header to the one that you currently see. February saw 75 Winged Wonders! Rose excitedly hosted her first Q&A. In March and April, she posted about her writing some more, but also discovered how much she loved sharing her opinions about topics. In May, she joined the HARPS contest. Now, she is in June, hitting that one year mark. She honestly can’t believe it. Blogging was a lot harder than she realized, but also way more rewarding. She had no idea that she would be able to get to know three other bloggers outside of the blogging world and countless more inside. She had no idea just how much closer she and her two friends from school who also started blogs would get. She had no idea that she would love this hobby as she did. And she most certainly had no idea how much she would want to continue. From the days of one follower (Not including herself and family) (Thanks, Samantha!) to the days of 126 (Thanks guys!) This blog has thrived and grown. And I, the blogger in this story have learned so much about the world and myself. Thank you for one year of magic, memories, and winged dogs. Here’s to many more! Previous One Year Blogiversary Giveaway! You are so totally welcome!!!! Aww, thanks! I love your posts as well! Thank you, Katie! I wish the same for you! Thanks, Samantha! I love your blog too! Awesome 💖 Happy blogaversary!! *confetti* keep it up!!! Congratulations on one entire year, Rose! Hope to see you for another year! Thank you, Starling! Me too!